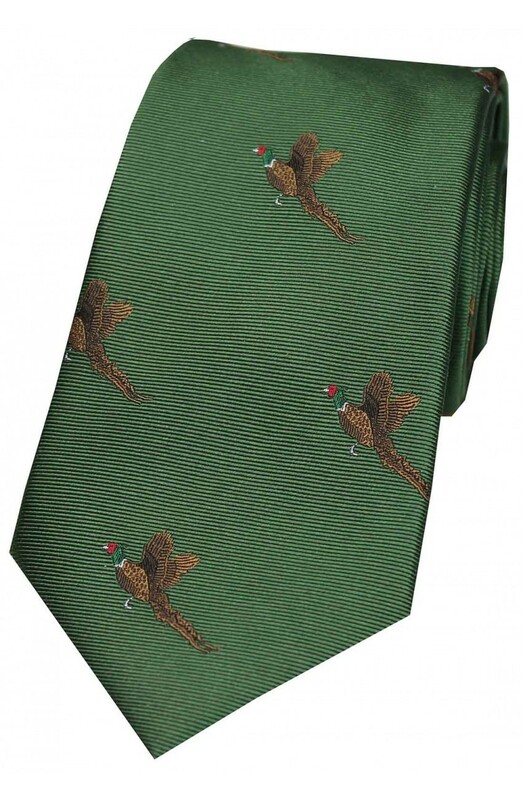 A luxurious woven silk tie with flying pheasant detail. The perfect addition to any shooting outfit, this classic tie has been given a contemporary touch with a range of glorious jewelled colours to choose from. Team with a co-ordinating checked shirt or let your colourful tie enhance the stripe of your tweed.